I've noticed that it's been a while since I've dug into my box of graded comics and shared one of them with you. Now, not all of my comics are gems and some I've overpaid for and I want to try to use this post as an example of what can happen if you're not really informed or that knowledgeable about market trends. Let me start off by saying that at the time that I bought this, I knew absolutely nothing about this comic or the story that was in it. 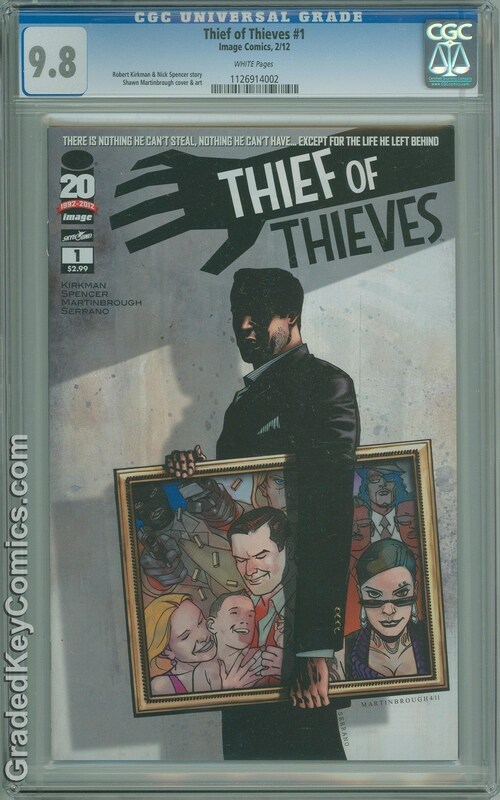 I bought this copy of Thief of Thieves at the very peak of it's hype when there were rumors going around that this title was going to be picked up by AMC and turned into a T.V. show. I thought it would be a good idea to snag a copy up before it got really expensive. After all, look what happened to The Walking Dead comics after that show came out. 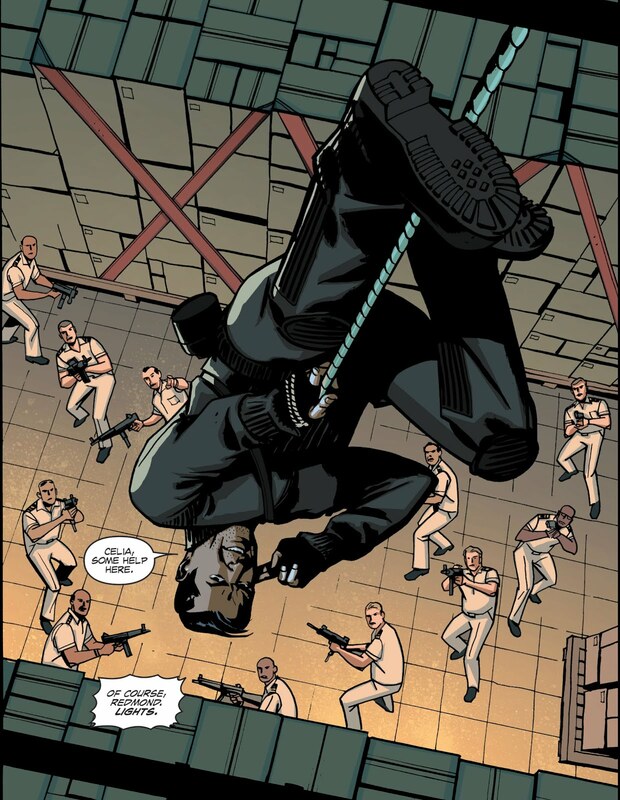 I thought that this comics could be the next to skyrocket out of the stratosphere. I found this copy on eBay for $200 and it was, at the time, selling for less than almost every other 9.8 NM/M copy that was available. Now keep in mind, I was still very green at the whole comics as an investment thing back then. I've learned a lot in the few years that have passed between then and now. Anyway, over time there was less and less talk of a T.V. show actually happening. Even to this day, I'm not sure why it didn't happen. But, since there was less and less talk of it, values of this comic started to plummet. I watched, and still watch, as sales for this comic keep going lower and lower. I failed at making any kind of profit on this comic and I chalk this up to being a rookie mistake. However, if a show had been made, this could have been a very different story all together, but alas, it isn't. So now I have this once hot comic that I bought for a couple hundred bucks that you can probably get for less than $100 now. I really don't even want it in my short box anymore, but if I tried to sell it, I'd be taking a big hit in the wallet. So, in my short box it will stay until I can make a little profit on it, or at the very least break even. Who knows if that will ever happen. Anyway, this is my little story of how I screwed up and I hope you can take something away from it. Unfortunately with every boost in demand for any particular issue, there is going to be someone getting hosed and spending too much money on a comic that isn't going to hold it's value, and in this case it was me. I'll include some links below just in case you're interested in finding a copy for yourself. Chances are you'll probably be able to find a nice high grade copy really cheap, and who knows, maybe it will see another boost in value someday. My fingers are crossed.